It’s the X-Men’s world and the rest of the Marvel characters are just living in it. That extends to the Avengers, who expand their roster even further under Black Panther’s leadership. 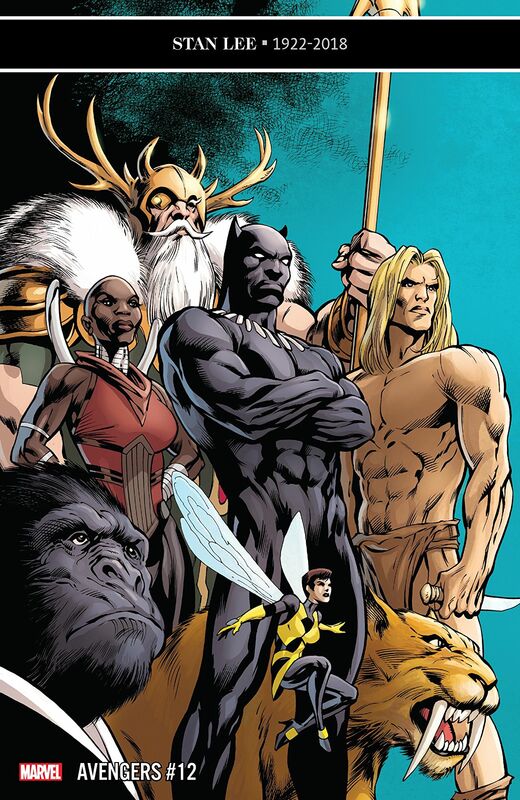 The Avengers’ new Chairman recruits an assortment of B-, C- and D-list level heroes to form his Agents of Wakanda team. This includes characters such as Broo, Fat Cobra and Man-Wolf all serving under his most loyal leader of the Dora Milaje, Okoye. The Avengers have brief appearances in their own title, but the 20 characters appearing in the book are all gearing up for the upcoming War of the Realms and score 46 points. As impressive as that may be, it falls way short of the 166 points tallied in the latest Uncanny X-Men. Jean Grey sends out a distress call to mutants around the world and some of the most obscure mutants to ever consider themselves X-Men heed the call. A total of 58 mutants including Dazzler, Eye-Boy, Goldballs and Trinary appear in the jam-packed issue to confront X-Man (inhabiting Legion’s body) and his Horsemen of Salvation. The Warriors of the Great Web gather once more in the pages of Spider-Gwen to mourn those they lost in the events of Spider-Geddon. Gwen takes the loss of their former leader the hardest, but manages to pull herself together long enough to let Lady Spider and the White Widow know about the death of Spider-Man UK and Spider-Man Noir, respectively. The 36-point book bests Iceman’s final issue of his latest solo series by one point. Bobby displays an impressive control of his ice powers in the book in order to defeat Mr. Sinister. He heals, grows in size, creates wings for flying and saves the morlocks Sinister had used as ice soldiers by thawing their frozen bodies. Captain Marvel’s new number one is the only other book to total 30 or more points. Carol teams up with Spider-Woman, her best friend, to save civilians and reconnects with her resurrected boyfriend James Rhodes before taking on Nuclear Man, the embodiment of toxic masculinity.